Hi, I am A.J. Hoge, the director of Effortless English. And now, I want to show you how exactly you get your lesson. Because, all of my lessons are digital. That’s great because you get them right now. You don’t need to wait for the mail. There is no mail, there is no extra mail cost. Instead, I send you an e-mail with a link and then you click the link and you download each lesson set to your computer. You can use them right now, today, immediately. Let me show you how that works. First of course, you go down to the button of this web site and click this big red button. It says buy lessons now. And after you click the button you will go to the payment page. So, let’s imagine you have already paid. After you paid you get immediately an e-mail from effortless english. So let’s look at the e-mail now. So I just paid and you will see here an e-mail from Effortless English LLC. That is the lesson e-mail. This e-mail contains lessons. So, you see the subject here “Original Effortless English Lessons”. So you wanna open that e-mail. It is the e-mail inside. 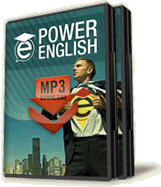 You can download files for Original Effortless English Lessons. And then, there is the link. To get the lessons, simply click the link in your e-mail. And click it, boom there it is. This is the lesson download page. You see, we have a long list of lessons. These are all of the lesson sets. Each of these actually has three or four files. Three or four lessons inside it. So these are lesson sets there are mp3 audio files, fort he audio. Mp3 of course you can use them your computer, you can listen on your computer, you can also put them in your ipod which is great because you can learn anywhere. And there are text files inside also, each lessons set. Those are pdf adobe files. Don’t worry your computer has adobe reader so you can easily read the text also. So how do we get these? Well it is very easy. You see right here, each one says click here to download. For example this is the welcome guide. This is the first thing you read. The welcome guide tells you exactly how to use the lessons. So to download one of these use just clik here, so click here boom. And my computer asks me you have chosen to open welcome guide and I just click Ok. And then see starts to downloading right now. Welcome guide download. 26 seconds remaining. So download onto your computer. And you save it on your computer and it is yours forever, right. You have it forever. And you see you can get it right now, immediately. You don’t need to wait one week, two weeks for the mail. No mail it is immediate, right now. So simple, so easy. It is great. So, as you can see, it is almost finish downloading. And when the download finishes you simply open the set and then you have it. So let’s have a look it right now. Here we go, see is ta ta ta finish and boom. It opens immediately and this is the welcome giude. The Effortless English Clup, welcome guide with A.J. Hoge. That is your first one. The welcome guide is just text. It just tells you how to use the lesson. You can see, and just close this, and then we have first lesson the day for the death lesson. Again you just click, download, open it and you can listen all of the lessons inside. We have another one, a kiss is the name another lesson set. So again each of lesson set, for example “A Kiss” there is a vocabulary lesson inside, there is a mini story lesson inside, there is an audio article inside, there is text inside. And many of these also have point of view mini stories inside. And also commentaries. So you get a lot of different lessons inside each of these. So we have a little bit levels it says one, it is easier. The day for the death lesson is propably the easiest lesson in all of these. And then we have level two. It is a little bit more difficult. But not too difficult, the level two lessons are still pretty easy. And then you can see we have level tree, cofe Puccini lesson, Disobedience Lessons. And the level 3 certainly is the highest. They can be more and more difficult. They are more advanced. So you can go from easier to more difficult and finally to quite advanced. And then finally too, you aclually some bonuses, you can see here, bonus Hitch lessons 1, Bonus Hitch lessons 2, Bonus Hitch lessons 3. Hitch is a movie. So these bonus lessons help you understand part of the Hithc movie. So they are really great. Everybody loves Hitch lessons so they are fantastic. And so, that’i it. That’s all. All you need to do, to get the lessons. So you get them now, click the big red button and you fill out your information, and then check your e-mail immediately, start getting the lessons right now. You can start using these lessons today. This whole process takes maybe five minutes, So in five minutes you can be listening to your first effortless english lesson. I look forward to being your teacher. I am so happy I can teach you. I will see you again, bye bye. zgadzam się z poprzednikiem to naprawdę świetny zestaw lekcji mp3 dla dorosłego słuchacza, mój biznes akurat wymaga płynnego angielskiego, ten wydatek traktuje jako inwestycje w siebie. hej,prosze od odpowiedz bo rozumiem ze to sa lekcje dla sredniozaawansowanych sluchaczy zgadza sie?w tym pliku jest 30 lekcji po angielsku,czy sa tez jakies pliki tekstowe no po polsku jakby ktos nie rozumial? do wszystkich lekcji mp3 są dołączone pliki tekstowe ale po angielsku, trudniejsze słówka i frazy są wyjaśnione na marginesie również po angielsku. jeśli to nie wystarczy to musisz szukać pomocy w słowniku. podsumowując swoją historię nauki angielskiego podsumowałeś również moją:) u mnie było tak samo tyle lat nauki i mizerne rezultaty. dopiero AJ nauczył mnie jak swobodnie rozmawiać i jak cieszyć się angielskim. Chętnie bym sobie kupiła taki kurs... tylko czy ktoś wie ile to kosztuje??? dodatkowo kupując lekcje AJa otrzymujesz dostęp do forum Effortless English (dostępne tylko dla osób, które kupiły lekcje). Świetna społeczność i setki osób, które tak samo jak ty chcą nauczyć się angielskiego (możliwość pogadania na Skype). Użytkownicy sami nagrywają swoje lekcje - DIY LESSONS (DIY - Do it yourself) i udostępniają je innym za darmo. a czy ktoś wie ile czasu idzie ta przesyłka, jak już zapłacę przez tego paypala? i też mam pytanie do osób, które kupiły te lekcje, czy to jest jedna płyta, czy jest ich kilka? 2. Lekcje pobierasz zaraz po zakupie w kilku paczkach za pomocą specjalnych linków, więc nie czekasz na przesyłkę. 3. Cały zestaw lekcji zajmuje ponad 1,5 GB. Ja korzystam z lekcji prowadzonych tą samą metodą przez polskiego lektora i jestem bardzo zadowolony. Plusy mam takie, że każda lekcja jest przygotowywana pode mnie jak i również te minihistorie. Mam kontakt na bieżąco przez Skype co dodatkowo pomaga bardziej naturalnie uczyć się angielskiego. Szczerze polecam. Stronę podaję w nicku. niech mi ktoś powie jaki jest sens kupować skoro ponoć można te lekcje ściągnąć z netu albo od kogoś kto kupił? Chciałabym kupić ten kurs ale nie rozumiem , nie wiem w jaki sposób ten Pan niby na tym zarabia skoro każdy może mieć te lekcje za free? Czy tych kupionych lekcji jest więcej? a może tych oryginalnych lekcji nie można przesyłać innym ? Są inne niż te , które można po prostu ściągnąć z neta? Sens kupowania jest taki, że ściągając z netu te wszystkie lekcje okradasz tego pana - to tak jak z muzyką: możesz kupić ze strony artysty i dostaniesz linka do pobrania płyty albo możesz poszukać innymi sposobami i ściągnąć ale to zwykła kradzież.